Eclipse was awesome. We only had 99.55% from our driveway, so no diamond ring, no corona. But we did get the eclipse-shaped sun dappling through the trees, the solar-snake effects in the shadows on the driveway, one very-cool solar flare, a 12 degree drop in temperature, and a hell of a good show. It was a bad weekend for genre fans. We lost two of the greats. George A. Romero (1940-2017), who created the modern zombie movie and ushered in horror-as-social-commentary with 1969's Night of the Living Dead. And Martin Landau (1928-2017), the Oscar winner for Ed Wood, but perhaps better know for his iconic roles in Mission: Impossible and Space: 1999. Thank you, gentlemen, for the many, many hours of entertainment you provided. 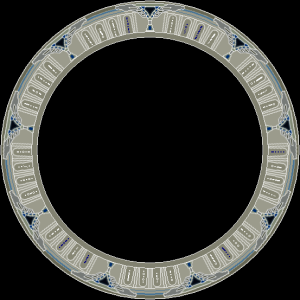 Welcome to the re-launch of Destiny, my homage to and continuation of Stargate: Universe. Less than a week after the final episode aired, I started working on the art and plot. Life forced me to delay the planned 2014 premiere for a year, and then conspired against me again to force me to put it on hiatus after only 20 strips (though 36 were drawn). I finally feel things are settled enough to commit to re-launching it, and upping the schedule to 2 per week. Not sure if anyone will ever read it beside me, but it's mostly for my own satisfaction anyhow. Other people enjoying it would be a serious plus, but is not a requirement for me to continue. That said, if you're reading this, I hope you like it. Total Solar Eclipse Day. Heading outside to watch shortly. 10 strips online. 8 new ones drawn. Not quite back to a buffer-maintaining pace yet, but getting there.